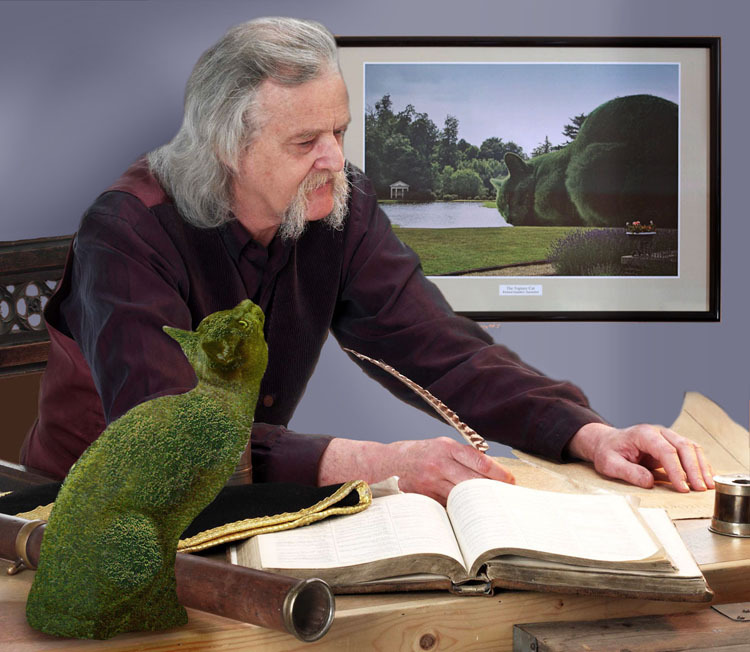 Watch this YouTube video of Richard explaining how The Topiary Cat project started and how it turned from a single surrealist image to a worldwide phenomenon. 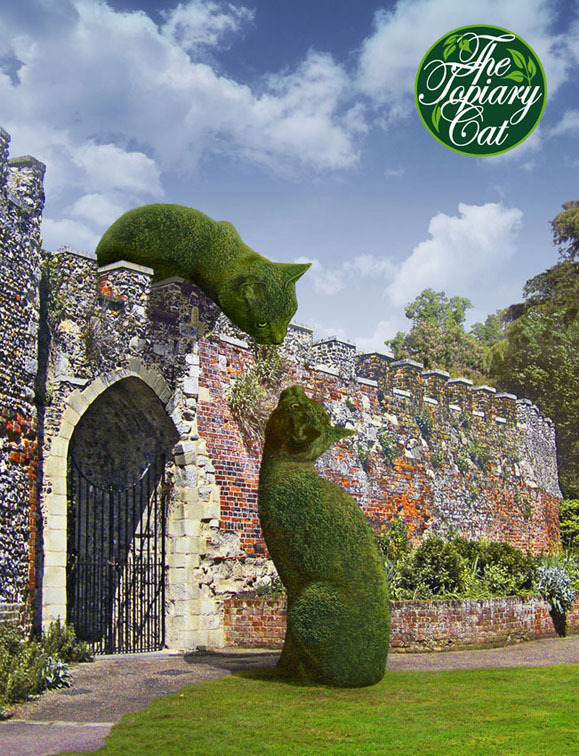 This is the very first surrealist image of The Topiary Cat created by Richard. 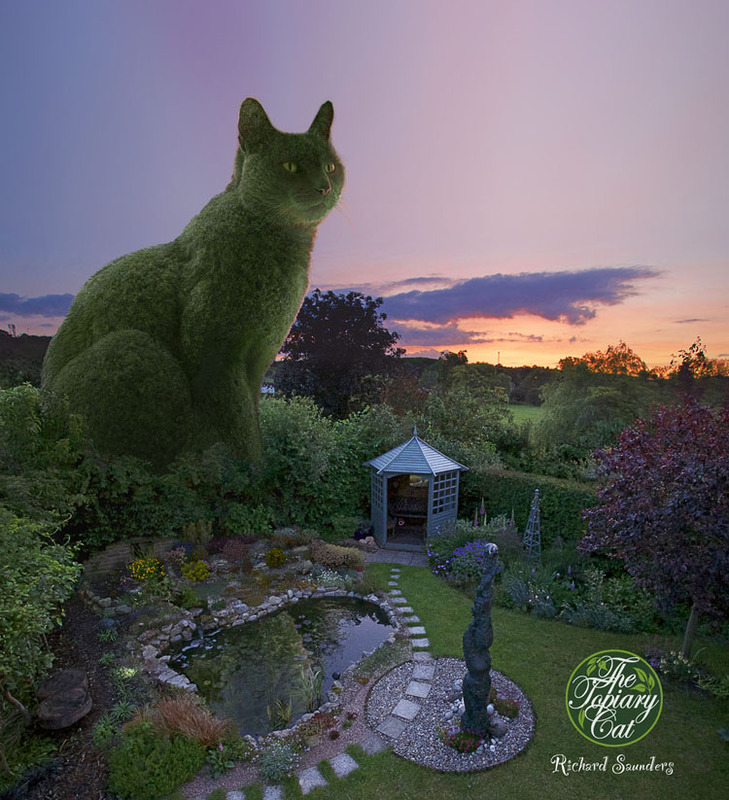 It was based upon a photograph he had taken of Hall Barn, Beaconsfield, with a photo of Tolly, his Russian Blue Cat, which was taken to match the huge abstract 'cloud' topiary by the lake there, comped in. Due to someone cropping out his name and claiming it as 'real' it became viewed by thousands of Facebook visitors. 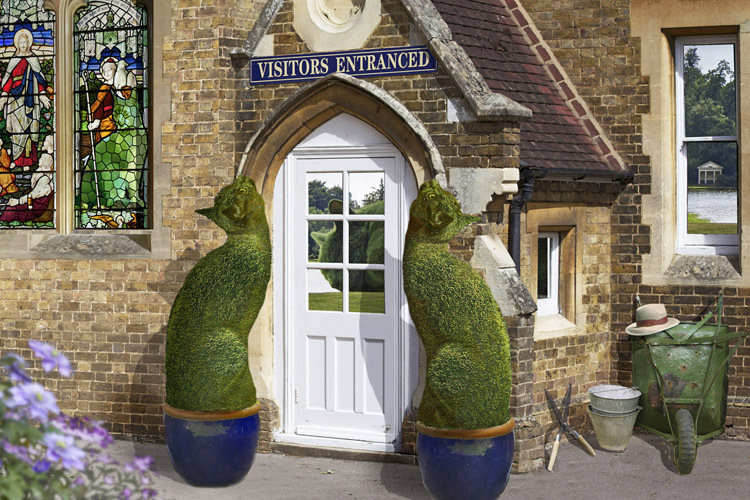 This is how Richard imagines the home of The Topiary Cat, entrancing visitors at the Visitor's Entrance. 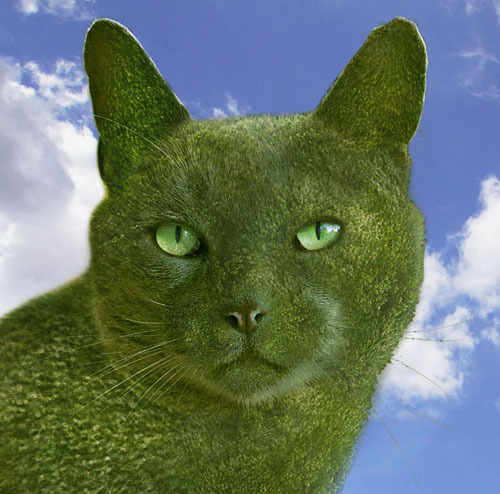 This is The Topiary Cat's profile image which would be his passport photo if he ever travelled abroad! 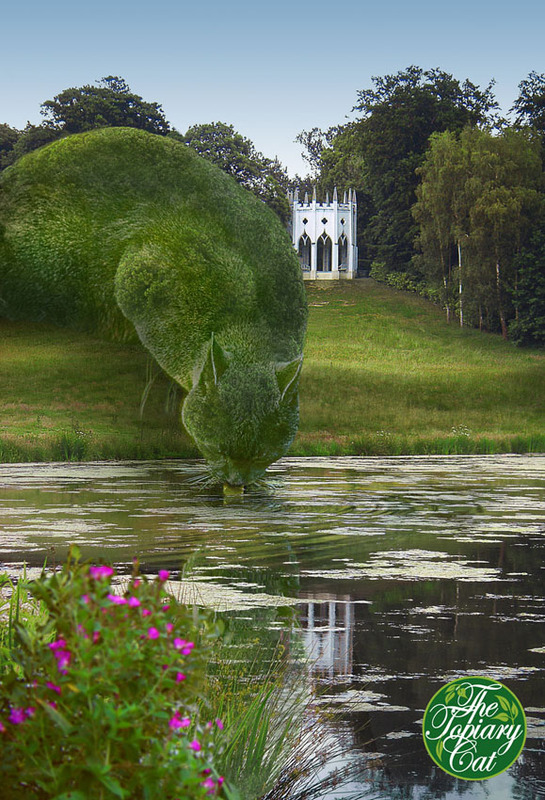 This surreal image, of The Topiary Cat drinking from a lake at Painshill Park in Surrey, England was also shared as a 'real' topiary. Richard posted it on his Facebook page to rectify the escalating situation and this new post received well over three million views and over 55,000 'Shares'. 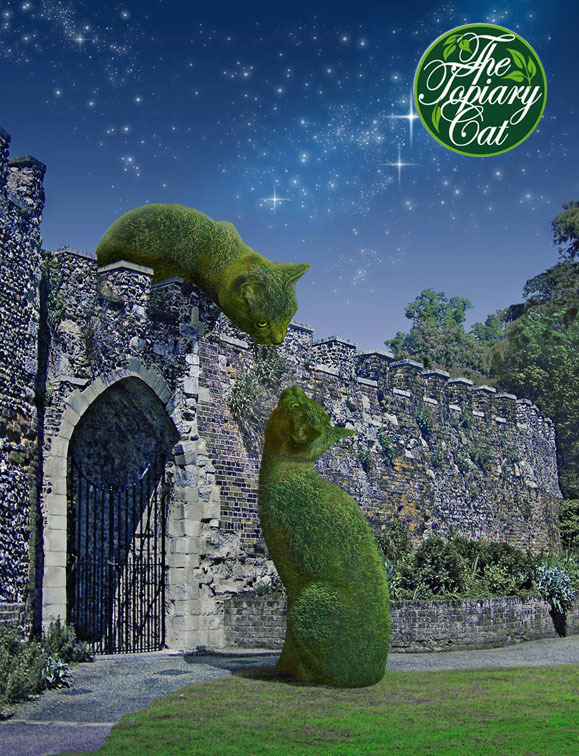 Another very popular image was this one of The topiary Cat meeting a friend over an ancient wall. This wall is actually the postern gate at Hertford Castle, England. Below is an alternative version on a moonlight night. 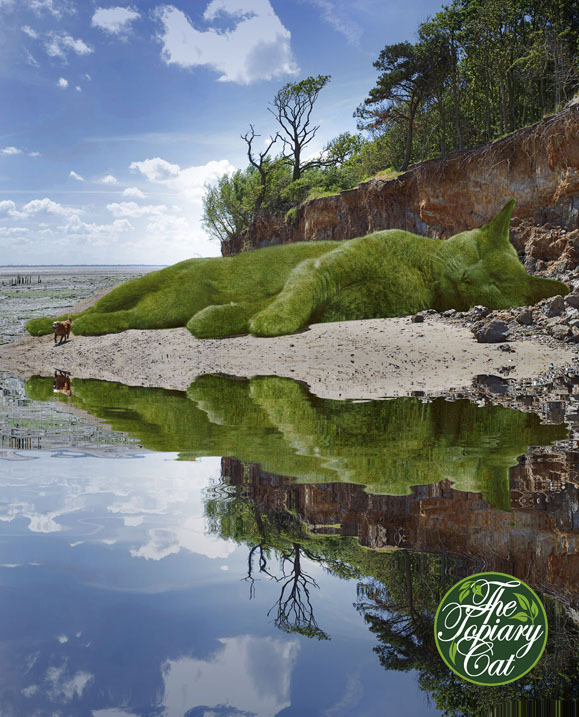 This image of The Topiary Cat asleep on the beach is based on a photo of Cudmore Grove, Essex. This was Richard's first foray into creating a 'displacement map' in Photoshop for the reflection. 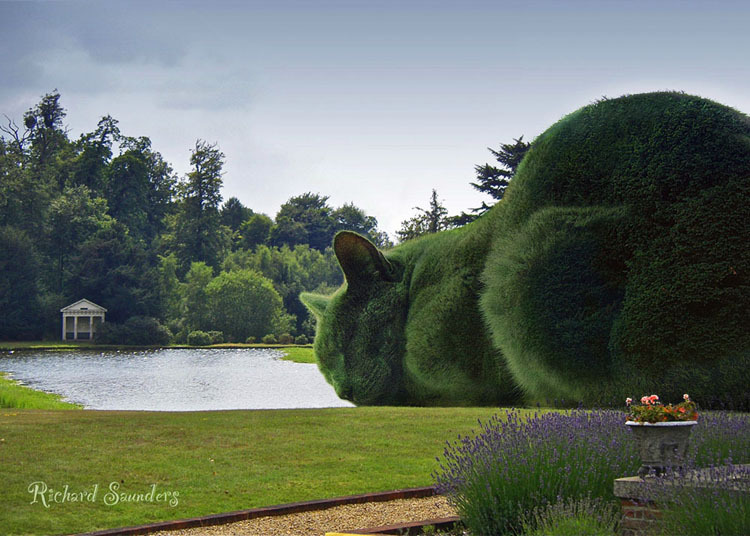 This is The Topiary Cat visiting his Master's garden in the countryside of Hertfordshire, England. In this form he is much too large to live there permanently. However, Tolly, the Russian Blue he is based upon, does live there. Tolly is most definitely the Master of that house though!